Vaiseshika 360 FL (Circular Fluorescent Vision Illuminator) is a laboratory and industrial grade fluorescent lighting system powered by a high frequency driver. The model 360 FL provides bright, flicker free illumination for a variety of application needs including assembly, inspection, imaging, microscopy and machine vision. Slender, Attractive, Full of Light and made from high grade aluminum, the Baton-lite series features Tube Lights which will add elegance and grace no matter which application they are used in. With our Retro t and Standalone TL solutions in T5 and T8 you don't need to look any further! 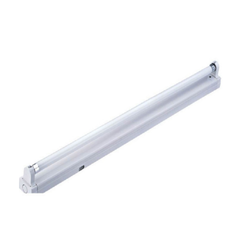 T5 Fluorescent Lighting / ACE Batten-T5 Fluorescent Lighting combines versatile control options with excellent lighting performance, minimal wiring requirements & low initial investment & low cost of ownership. By keeping our pace with the prevailing market trends, we are instrumental in presenting to our clients’ best in class Suspended Fluorescent Light. 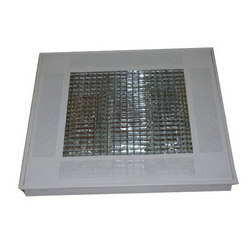 In order to cater the diversified demands of our clients, we have been able to provide a unique range of LED Fluorescent Light.